We have reached the final cohort of 2018 (where has this year gone please?!). It’s been an exciting year for The Grad Scheme, as we have welcomed yet more amazing grads into our ever-growing brood. There’s been a hefty amount of exams passed and a lot of progress made with our team (more to come on that, so keep an eye out). 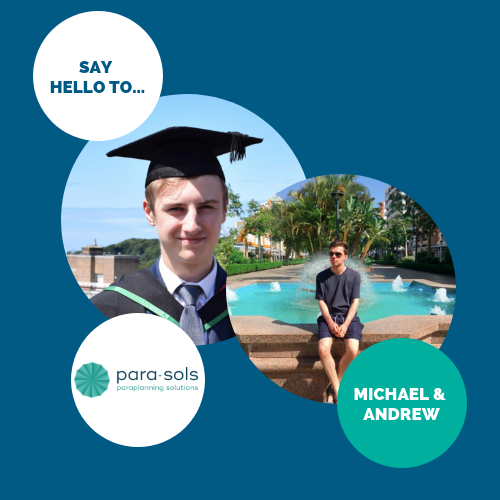 For now, let’s discuss the two new budding paraplanners to join us – both with a degree in History, Michael and Andrew have a keen interest in research – a perfect attribute to have when it comes to carrying out reports! They’re fresh out of university and ready to kick start their career in the world of finance.